Receive Premium Wrecking that puts Premium Dollars in your Pocket. Nissan Car Wreckers Adelaide specialises in Nissan wrecking, paying up to $9,999 cash for Nissan cars. We are Nissan wreckers Adelaide that want to put as much as $9,999 cash in your hand today for your Nissan. Call us at 0477 413 136 for an instant cash quote. Suppose under the hood is perfect, but the body is so badly damaged it can’t be repaired. You have a value in your engine waiting to be pulled and dismantled to resell your working parts. Or, maybe they need a little reconditioning to be in top shape. Perhaps the car has a blown transmission. Regardless, wrecked, accident, damaged, or old, you have an Adelaide Nissan wrecker that is ready to offer you top cash for your Nissan. We buy all types of Nissan vehicles, paying our customers up to $9,999. When you want the best value for your Nissan, you want to contact the Nissan wrecking pros at ‘Car Wreckers Adelaide’. We won’t hand you a bill when we arrive with a cash payment up to $9,999 for your car. All wrecking is part of our courtesy package of services. 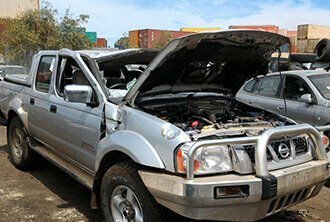 We are a wrecker that wrecks our Adelaide customers’ cars for free. 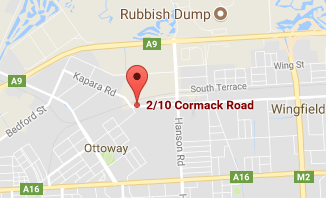 Our wreckers are the best Adelaide has to offer, and can get optimal value from your car or truck. So, get a quick and courteous cash quote by contacting us. Your wrecked, accident, old, or damaged Nissan is not only wrecked for free with Car Wreckers Adelaide, but you also receive a free Nissan Car Removals Adelaide SA. We arrive to remove your car with the cash payment we offered over the phone or online, and all the paperwork to haul the Nissan away; that is, once all paperwork is signed and the cash is put into your hand! Give us a call or fill out our “Get a Quote” online form at the top right of this page. Our appraiser will gladly give you a quote for your Nissan once you provide him/her with the details of your car or truck, including a complete description of your Nissan. Accept or reject our cash quote. If you’d like to shop around a bit more, that’s fine also. Schedule a free removal anywhere in Adelaide, SA. When the price that you get for your Nissan matters, Auto Wreckers Adelaide is a good choice for a car buyer. We buy Nissan of every year and condition and pay top dollar and a buyer that offers excellent prices and services all in one.